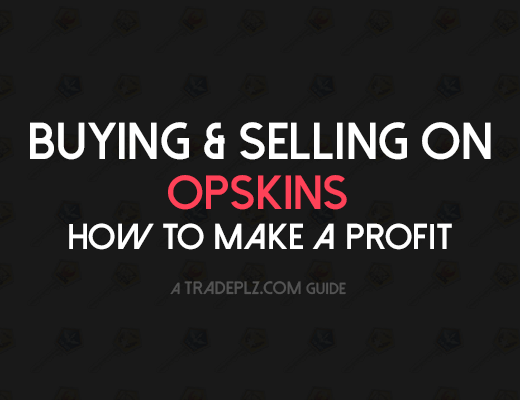 There’s plenty of different CSGO shop where you can buy & sell skins & items with real cash, and there´s more of these shops popping up all the time, in this trading guide I’ll be talking about buying & selling between these different marketplaces using real money and how you can make a profit doing so. I have hand picked a few of these marketplaces for CS:GO items that I think are worth using, there´s a shitload of other markets like these out there, and you can use any of them if that suits you better. This guide is really simple, we’re going to compare the prices on a bunch of marketplaces/shop for a certain CS:GO item, after we bought the item we’re going to sell that item in another shop where the price is higher. 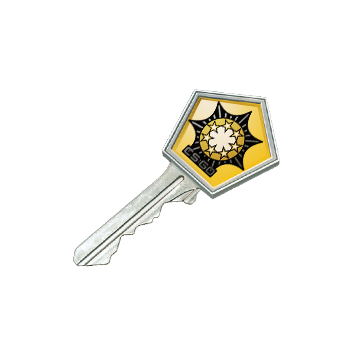 You can buy & sell any CS:GO skin or item really, it should be a item with a decent demand though, I like to do this with case keys, there´s always a huge demand for keys but at the same time there´s a lot of competition when selling keys. I suggest you try doing this guide with any item you want, be creative and find a item that you can resell for a profit. Buy a item in one shop. I’ll start with introducing the sites we’re going to use in this guide. All these sites takes a fee when you sell your items, some also take a fee when you withdraw your money (to PayPal or similar) I will display both these fees below. 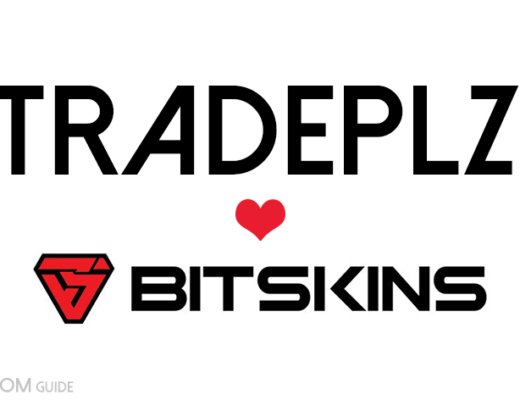 SkinBaron is a German based marketplace for skins. Medium active shop with fair prices. Considering it’s based in German the prices is displayed in €. Selling fee: 10% for regular users. But there is a opportunity for high tier traders to get their fee lowered to 5%, contact their support and ask if that’s available for you. Recommend to sell your skins here, not the biggest marketplace around but the prices can be great for both buyers and sellers. OPSkins is probably the biggest & most popular marketplace for CSGO items right now. There’s a crazy amount of transactions going on here, which can be a good and a bad thing, a lot of competition and potential for a lot of good deals. Recommended to buy your items here, the biggest & most active marketplace, making the competion among sellers high. Sales fee: 5% for all members, and it can go as low as 4,8% if you sell for an insane among of money. Buy and Sell your items here. The prices are generally speaking rather low, if you check out their deals section you can find a lot of items at -20% off market value. And at the same time they have the lowest sales fee around, that’s why I recommend to both buy and sell your CSGO items here. G2A is a gaming store that has a item marketplace feature, so people can buy & sell their items here. It’s a very popular shop for other reason then CSGO items & the prices are on average higher, making it a great place to sell items on. The negative part would be the layout for the store when it comes to skins, it’s really confusing if you ask me. Oh and stay away from their service G2A shield, it’s pure poison! Sales fee: 0.05 € + 6% fee for each item. Kinguin is a game and skin marketplace similar to G2A, the fee is just a little bit lower but what I think really is a improvement compared to G2A is that the layout is so much better. Here you can actually find the skins you are looking for! The fee is at a good rate, only Bitskins have a better sale fee. Recommend to sell your items here, prices usually higher but not as active marketplace as Opskins & Bitskins. Here´s an example of how I done this guide in the past. I will be buying Chroma 2 Case Keys and I choose to use G2A & Opskins in this example, but it could work using other sites too. After looking around I can that the lowest price for Chroma 2 keys is on OPskins (for $1.98), and I can also see that the highest price for that key is on G2A for $2,31, there’s nice gap between those two prices which means I can make a small profit from reselling this key (just remember that there´s always sales fees). So I went ahead and bought a few keys on OPskins, and then I head over to G2A and list the keys up on their marketplace. I always list my items below the lowest current price so that I sell my items as fast as possible. After the item got sold I would make a 0,14$ profit for each key I sold. Not a lot but it adds up. Keep in mind that all items won’t sell immediately, keys have a tendency to be high in demand so they would sell pretty fast. After my items are sold on G2A I would want to cash out my money so I can buy more items and repeat this process, I try and avoid cashing out via PayPal or any similar payment system because G2A has a withdrawal fee (and most marketplaces have). There’s two alternative ways of getting your money out of G2a without paying that additional fee, you can either look for a good deal on a CSGO key or any skin on the site and buy and resell it on another site, just make sure it’s a good enough deal that you will make a profit off it when selling it again OPSkins (10% sell fee on OPskins for example). Finding those great deals on G2A can be hard sometimes and that’s why the other option is my favourite, what I do is simple head over to OPSkins and choose “Add funds”, I pick the amount I want to add then I choose G2APay as my Payment Option, from there I can choose to add funds into Opskins using my G2A Wallet, this is a easy way of avoiding the withdrawal fees. Now and can find some cheap items on OPSkins and repeat the process. If you want to maximize your profit using this guide I suggest you buy your CSGO keys directly from other traders and then resell the keys on the site that has the highest current price. Why don’t I talk about doing that in the main guide then? It´s because of two reasons, the first one being I don’t have much personal experience buying keys directly from people or cash trading in general, it can be quite tricky & scary getting started with those kinds of trades when you have no experience about it. The other reason is about time, when buying keys from marketplace sites you get your keys/items delivered by their trade bots almost instantly, it´s a very fast way of buying keys. To sum it up, it´s fast, easy and safe to buy from the shops, but you can get a much better deal if you´re skipping the middleman. 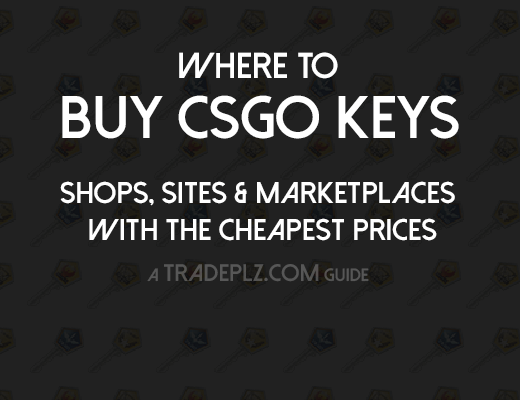 Check out my guide on finding cheap CS:GO keys where I listed a bunch of forums where you can buy from other traders. Some of the links in this guide are referral links, what that means is that I make a small profit if you use my link to register/buy/sell. If you use my links it doesn’t effect you at all, but it helps me out a lot and I would appreciate if you do, see it as a way of thanking me for doing this guide. Also I would never include any sites that I don’t use or don’t like, the shops on this lists are places I use regularly. I’m curious, could i do the G2A Wallet trick with any other site other than G2A? Many sites let’s you deposit funds using G2APay. Heyo. That’s alot of money, make sure you invest in something safe. Hey Jonas, does this still work, i will want to test this out once i have the funds. Haven’t done this in a long time. But this still has potential. Just do a quick check for some item (a gun or whatever) on the shops I mention above. You can still do research without having any funds. cs.money is another kind of service then I am talking about in this guide. Nothing I would recommend using really, but if it works for you, go for it. The problem is that you might get crappy undesired items on cs.money, the value might be high but if nobody wants the item you’ll have a hard time trading them for keys again.